TOKYO (Reuters) - Japan's 24-hour convenience stores are struggling to stay open around the clock as an industry that has continually expanded now finds itself at the sharp end of a labour shortage. Although the debate has focussed on their plight, it has also raised doubts over the future of a $100 billion industry that faces an ageing population, slow economic growth and new competitors such as Amazon Prime. "The question is, how much demand is there for 24-hour service in an age when online shopping is expanding?" said Takayuki Kurabayashi, a Nomura Research Institute partner who specialises in consulting for the retail industry. Japanese convenience stores began expanding in the 1970s as their 24-hour accessibility proved a perfect match with the country's dense population and late-night work culture. The brightly lit stores, which locals call "combini," are ubiquitous and an essential part of modern Japanese life, offering everything from neckties to packaged "bento" lunches for city workers. The franchise system promoted a nationwide expansion that took the total number of stores to roughly 58,000 last year, a majority operated by the big three: 7-Eleven, originating in the U.S. but now Japanese-owned; FamilyMart, UNY Holdings' convenience store arm; and Lawson, a subsidiary of trading house Mitsubishi Corp.
For years, the franchise model shielded operations from the direct effects of Japan's labour crunch. But now, the tightest labour market more than 40 years is hurting store owners, who pay salaries after handing over royalty fees. 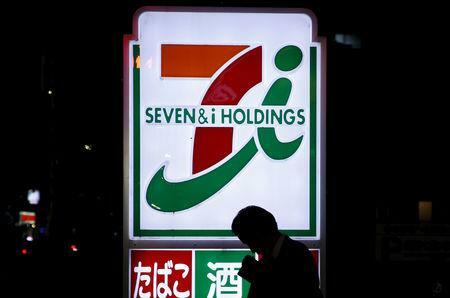 "At the time of the agreement, we could not foresee the current labour shortage or spike in minimum wages," said Mitoshi Matsumoto, a union member who owns a 7-Eleven store in Osaka, referring to the deal he and his wife signed with the company. Struggling to keep the store running after his wife's death last year, he began closing it for a few hours at night, and was threatened with a fine. His pleas to management and lawmakers drew widespread sympathy in a country in which "work-life balance" has become a buzzword and employers have come under fire for cases of death by overwork. Amid such pressure, the company said that on Thursday, it would begin testing shorter hours at 10 of its more than 20,700 stores. It emphasised that the change was experimental and that it was not yet altering its 24-7 format. Roy Larke, who analyses Japan's retail industry as editor of JapanConsuming.com, said he sees the sector as saturated and consolidation inevitable. "We do have too many convenience stores now, sometimes literally next door to each other. There are probably around 10 percent too many," he said. "There's room for innovation," he said, citing the company's efforts to incorporate more automation and artificial intelligence in processes ranging from stocking to check-out. Chains are also testing new formats such as outlets that combine drugstores, dry cleaners and even gyms. FamilyMart has opened some such stores with the country's largest discount chain, Don Quijote, to inject excitement. They also say it's too early to predict the outcome of Japan's online grocery delivery race, which is only getting started. Although Amazon's grocery and same-day delivery services are considered threats, convenience stores are also launching online platforms; their affiliations with traditional supermarkets and logistics networks are seen as advantages. "It's not clear-cut whether Amazon will be overwhelmingly powerful here," said Larke. "Especially in food, it doesn't have the game to itself." Convenience stores, like other Japanese businesses, have also been expanding abroad. But Nomura Research's Kurabayashi warned that those foreign markets, including China, were also ageing. "What's happening in Japan is eventually going to happen elsewhere in Asia," he said. "It's just a matter of time."